Eco Works sources the highest quality products. 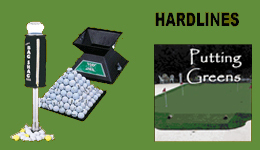 Our manufacturers are highly regarded and our products are proven to work well for the golf course and landscape industry. Our products have a seven year track record of proven performance with many customers. 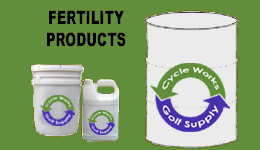 Virtually all of our products work with natural products and are formulated and created to provide a sustainable turf. We use no EDTA chemical products in our fertilizers, micros, phosphates and soil amendments. Our products provide a safe environment for workers and customers. No chemicals in our fertilizers, micros, phosphates and soil amendments means that workers and customers are not exposed to harmful chemicals. We use a customized approach for most customers. We test and analyze soil, water, and plants and make custom recommendations based on those test results. We are constantly working with our manufacturers to develop new and creative products for the turf and landscape industry. We also research industry developments and are always looking for significant new products and suppliers for our customers. Eco Works Supply vets leading hardlines and other products that provide solutions to the turf maintenance industry. We attend national trade shows to find new and innovative suppliers and our philosophy is to distribute only those products that are industry leaders and of the highest quality. We strive to provide outstanding customer service by listening to our customers and doing everything possible to meet customer needs and by standing behind our products and services. We also strive to deliver on a timely basis. We keep our overhead low and benchmark our prices to keep them at or below our competitors when comparing similar products at similar application rates. We also provide creative volume discounts for customers as their volume increases. 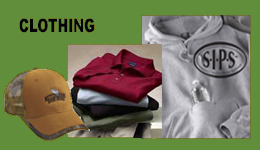 We employ a creative method of providing credits that can be used to buy clothing and other products from our catalogs. Eco Works goes a long way towards helping you establish healthy soil and lowering your bottom line by creating efficient, self-sustaining solutions. And there are other advantages. Your reputation is as important to us as the vibrancy of your environment — a healthy golf course or sports field encourages more participation and beautiful open spaces benefit the entire community. Probably the single most important factor in producing naturally healthy growth is the microbial activity in the soil. These microbes are responsible for transforming raw nutrients and minerals into a form acceptable to plants. Extended exposure to synthetic or high-salt fertilizers, herbicides and pesticides severely affect microbe populations, aeration and water retention — lowering a plant’s resistance to disease and stress. Today’s technological and biological discoveries allow us greater options for soil reconditioning and turf management. There are many variables in creating the perfect growing environment and our expert knowledge ensures that you benefit from the latest scientific advances. 30%-40% cost reduction when using our foliar sprayed products. They’re concentrated and hold for two to four weeks. Results have often shown as high as a 40%-50% savings in water usage. You can count on our products to assist the soil in holding water and oxygen, and extending your watering cycle to three, four, sometimes five days. The biggest expense for golf superintendents is reduced because of less labor for spray applications, reactive disease problems, aeration, top dressing, and spot treating.